The Glenroys Football Club, 1929, pictured in a parkland setting. None of the team members are identified. Photo by Jack Beare, North Adelaide. 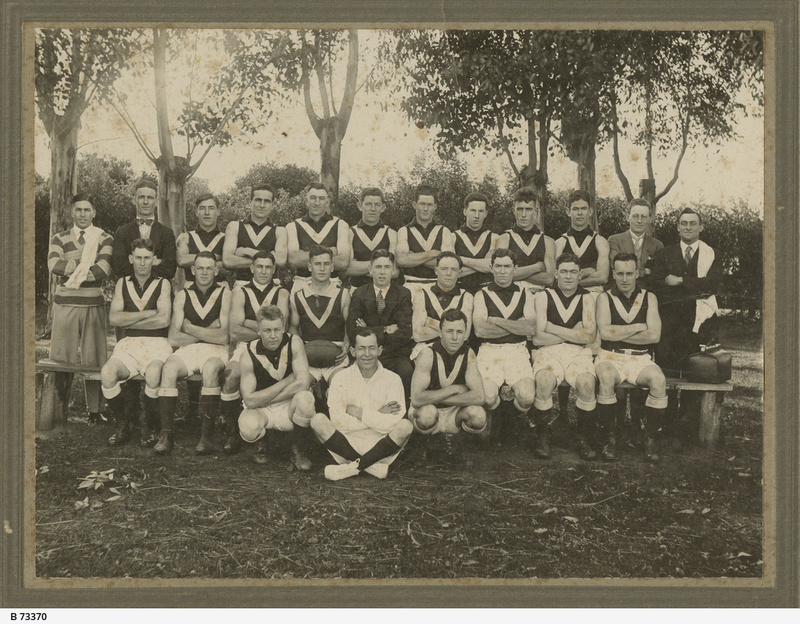 This is one in a collection of photographs of football teams from SA country areas and Broken Hill, with a member of the Bridger family, notably William Edward Bridger, featuring as either one of the players, as coach or chairman. All bar one are captioned with the names of players, coach and trainers. See B 73365 - B 73372 inclusive.